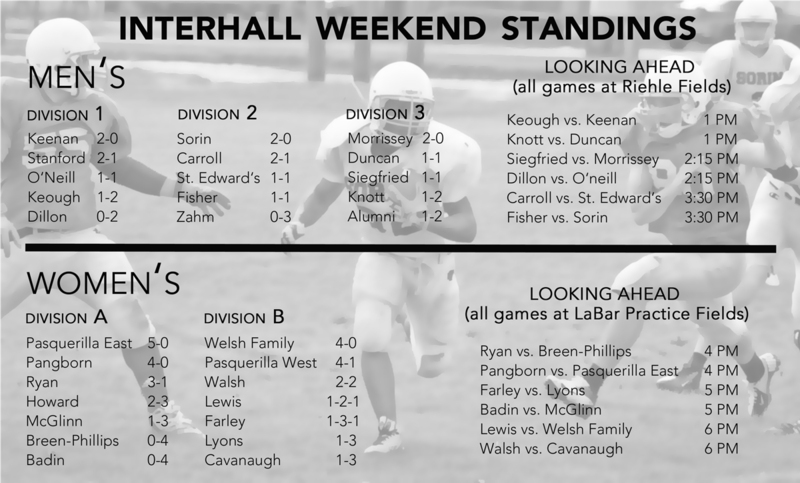 Pasquerilla East and Pangborn will clash Sunday in a contest between two of this season’s strongest teams. A Pasquerilla East receiver sprints downfield during the Pyros’ 21-19 victory over Howard on Sept. 28. The Pyros (5-0) have withstood the test of time on offense this season, sitting tied atop the division despite allowing 45 points on the season. By contrast, the Phoxes (4-0) have employed a stout and stalwart defense en route to their unblemished record, allowing only 13 points thus far this season. With the end of the regular season approaching, Pasquerilla East senior quarterback and captain Macy Mulhall said she is confident in her teammates and has a positive outlook on the games to come. She admitted, however, to a bit of a rivalry brewing between the two undefeated squads. The younger players on the team have contributed to the success of the team, sophomore wide receiver and captain Noelle Gooding said. 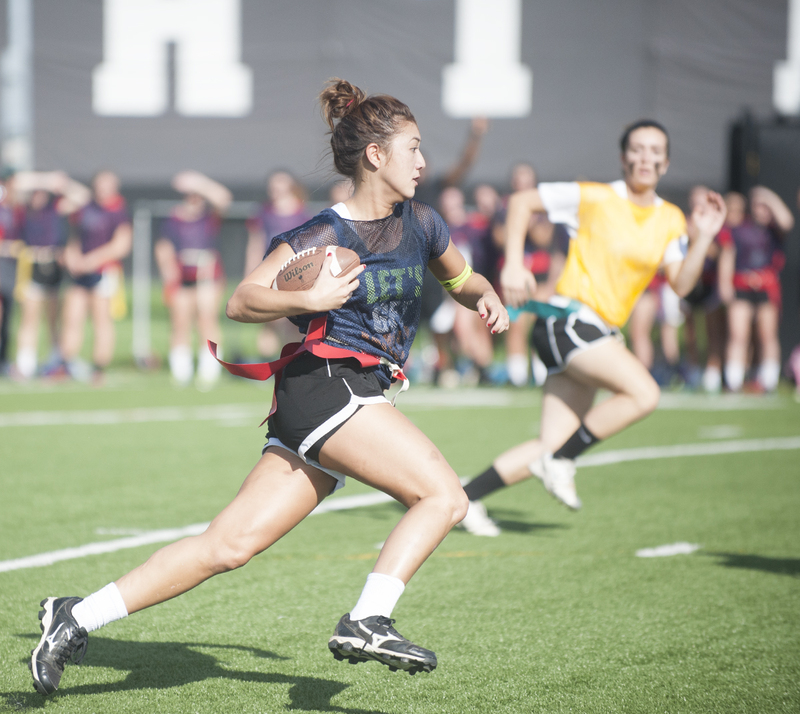 “We’ve had a record number of girls sign up for interhall flag football,” Gooding said. Pangborn junior receiver Gracie Gallagher said her team was mentally prepared for the game as well. Gallagher added that there was also an air of novelty to the upcoming match. With playoff seedings on the line, only one of these teams will retain its undefeated status when the Phoxes and Pyros match up at LaBar Practice Fields on Sunday at 4 p.m.